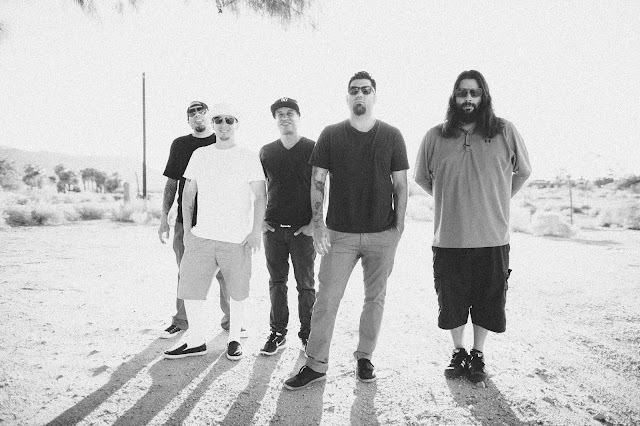 TOPAZ HORIZON: Deftones in Manila! After watching Bloc Party and Aerosmith, Vince is excited for Deftones next. I tried listening to a few of their songs and, in the words of my toddler, I found them, "Noisy!" So my dear husband shared with me this one song. "You'll like this one," he assured me. It's called "Sextape." Okay, I like it already! It's a gorgeous video and the music puts me in a trance. Beautiful beautiful! If you're just as excited as Vince, then have you bought your tickets yet? The Deftones concert will be on May 26, Sunday at 8 PM at the World Trade Center. We'll be coming from out of town that weekend but Vince will definitely rush back to Manila just to see these guys live. 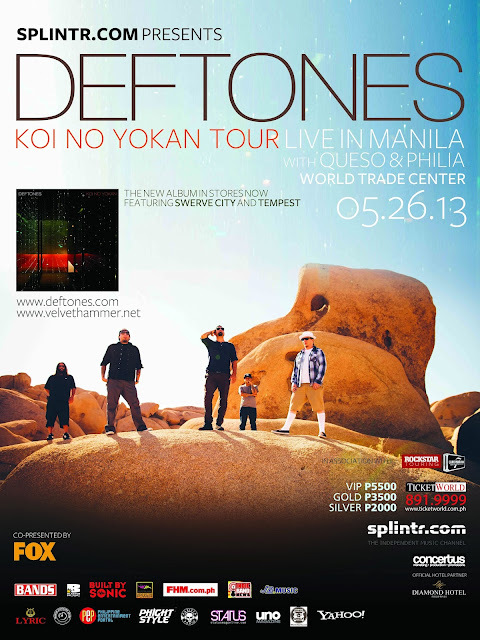 Go buy your tickets from Ticketworld now so you can see Vince, oops, Deftones, too!